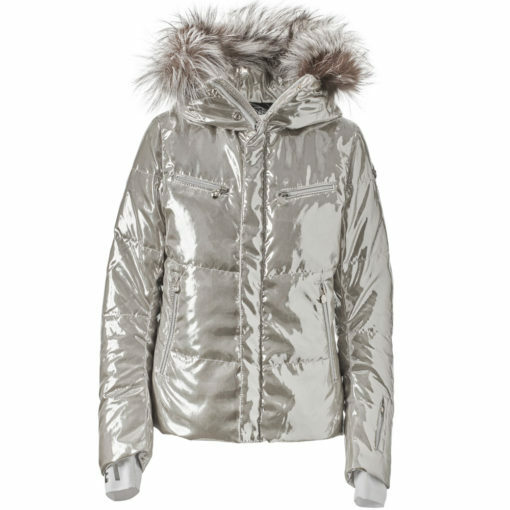 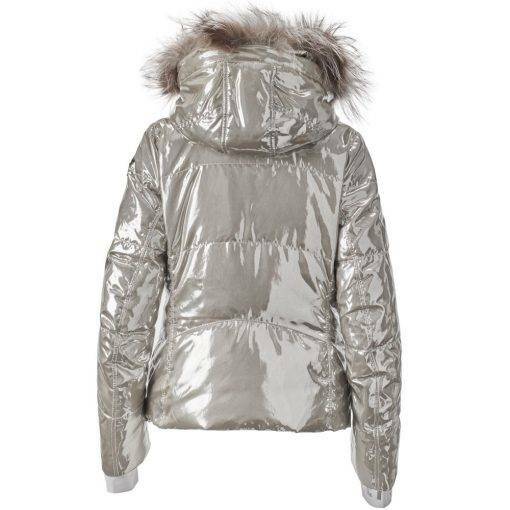 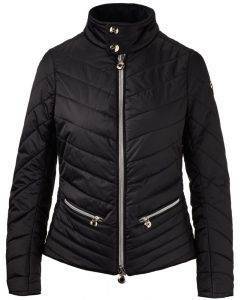 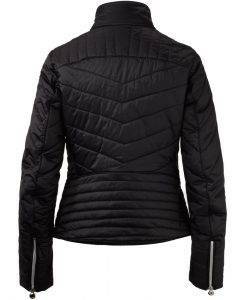 The Jet Set Liv Glam Fur is a stylish down ski jacket in a silvery 4-way stretch material that is both functional and fashionable or as we like to say fully technical yet glamorous. 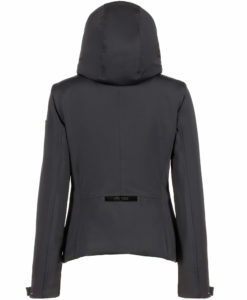 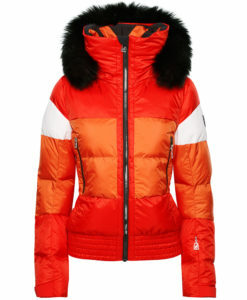 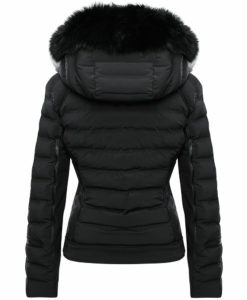 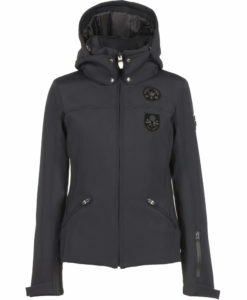 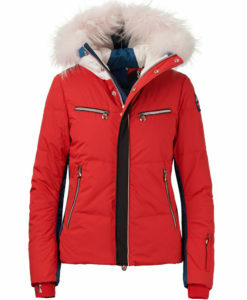 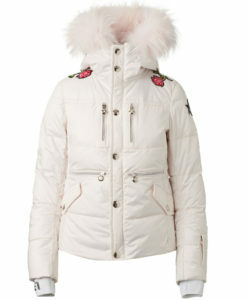 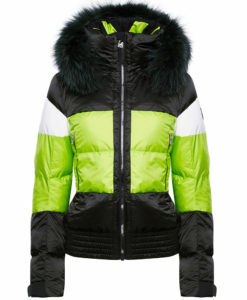 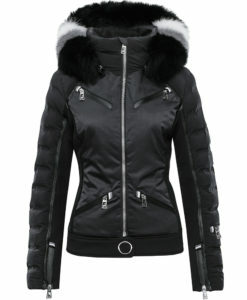 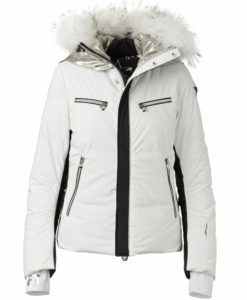 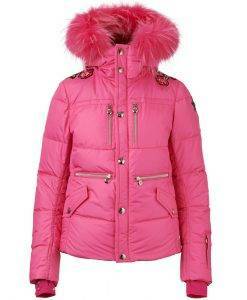 The Liv Glam Fur will keep you warm and dry on the slopes while making a fashion statement at the same time. 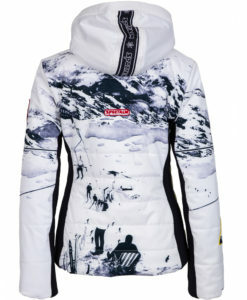 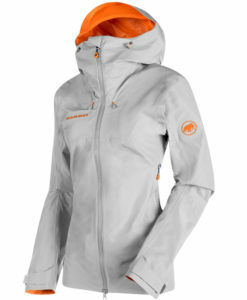 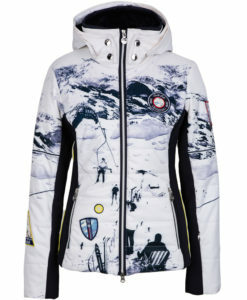 All the details you need to make this your favorite ski jacket, a powder skirt to keep out snow, sleeve cuffs that snug under your gloves to keep you toasty and a fur lined hood to seal in heat on the chairlift.